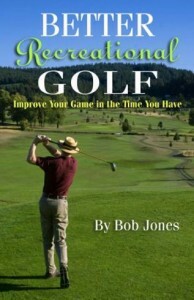 I’m writing a longer article I plan to put on my golf tips web site, The Recreational Golfer, but I want to let you in on the good part before I post it there. The idea is that the pros have a yardage book that tells them the yardage to the front of the green and to the pin on every hole, from every prominent feature from tee to green. 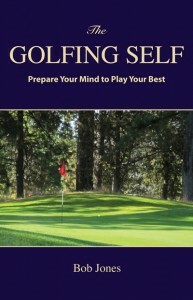 You should make one of your favorite course for yourself. Now you can get yardages from the fairway off sprinkler heads, but the yardages you might not be getting are from 60 yards in. This is the range where you need to know most what your exact yardage is, and where the course gives you the least help. Sprinkler heads run out, and you don’t know where the pin is on the green, yardage-wise. There are two things you can do. First, get a notebook and make a diagram of each hole from 60 yards out, including the green complex. Find landmarks off to the side that you can use to step off yardages so you know whether you’re 40 or 45 yards from the front of the green, for example. The second thing is to start marking on the green part of your diagram, the location of the pin that as you find it each time you play. When you get to the green, step off its distance from the front, on a line going straight to the back of the green, and not directly to the pin. After a few visits, you will find that the green staff has only a few locations where they like to put the pin, and you can now know the exact distance to each one from any place on the hole. This will not only help you from close in, but it will help you from the fairway, too, and you will know exactly which club to use and exactly how much distance to put on or take off given the club you selected, given knowledge of the pin’s location. 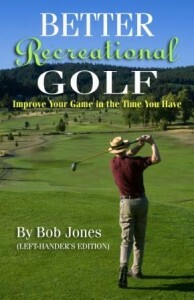 Unfortunately, you’ll get no help from the pro shop, and that location isn’t always easy to determine from the fairway. Solution? Bring a small pair of binoculars. Check the pin placement while someone else is hitting.